You guys, I feel a trend forming! We are very pleased to bring you this month’s color set and its +1! 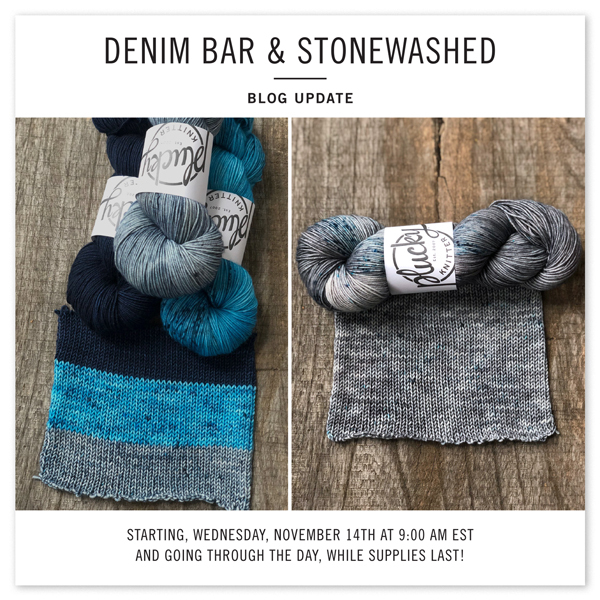 Last month it was Lumberjack and Buffalo Plaid and now….. Denim Bar and Stonewashed! This 3-color set has it all! A light, yet broody denim-y blue, and the perfect icy blue come together with coordinating speckles of navy, gray and turquoise. Add in a gorgeous and glowing navy with bright undertones and it all adds up to a blue lovers dream!! And no denim bar would be complete with out a stonewashed option! Please join us on the Plucky Blog, Wednesday, November 14th starting at 9:00 AM EST through the day, while supplies last. This is a pre-order update and will ship the week of December 10th. Please note, for administrative purposes your shipping label may be printed an unspecified amount of time prior to actually shipping. Once an update begins to ship it may take up to 4 business days for all packages to leave the barn. 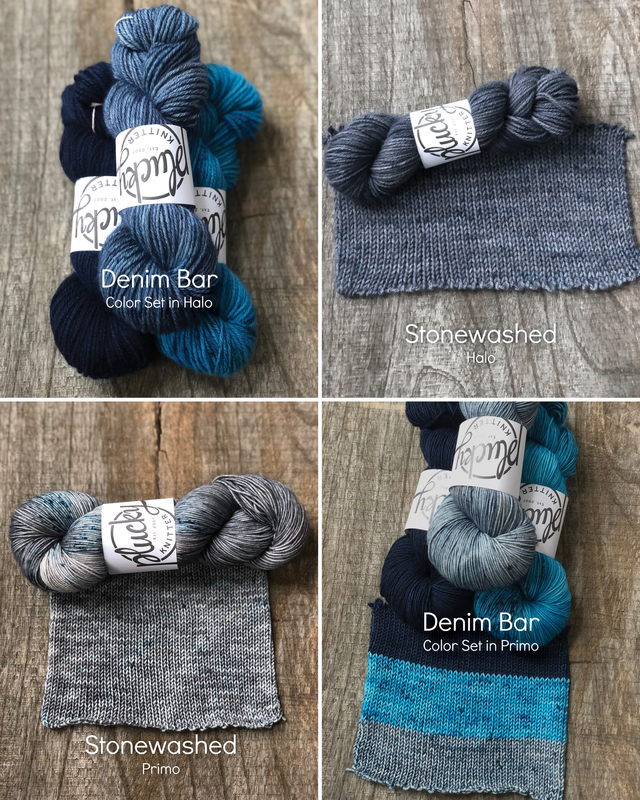 Stonewashed is available as single skeins. Denim Bar is sold as a 3-color set. #plucksterprojects Druthers! Plucky GRAY Friday!